Today may have seen the beginning of the end of the dreaded monster lurking in the tangled forests of South African telecommunications law. When Justice Norman Davis ruled in the high court this morning that value-added network services (VANS) must be allowed to provide their own networks — and that the regulator is obliged to grant the appropriate licence to any network that chooses to do so — he heralded the beginning of a truly competitive environment in telecommunications. The court case was brought by Altech Autopage against the telecoms regulator, Icasa, essentially to force Icasa to issue a new category of telecoms licences to anyone who applied, rather than cherry-picking a select handful that Icasa decided were worthy. The Electronic Communications Act envisages that these ECNS (electronic communications network services) or i-ECNS (individual ECNS) licences would eventually allow their holders to provide any communications service, from internet or phone to broadcasting, as the technology underpinning these services is all moving to a common platform, namely the internet protocol. Little wonder everyone would like a slice of that pie. In reality, the case goes back to September 3 2004, when Minister of Communications Dr Ivy Matsepe-Casaburri declared, as part of a determination on amendments to the Telecommunications Act, that VANS would be allowed to self-provide their own network facilities from February 1 2005. Icasa formally endorsed this amendment. Yet, with barely hours to go before the due date, the minister stated that this self-provisioning applied only to the mobile cellular operators and that “value-added network operators may obtain facilities from any licensed operator as specified in the determinations”. In effect, that had shut the door to open competition, with VANS forced to buy all network services from the same companies that were their biggest competitors. 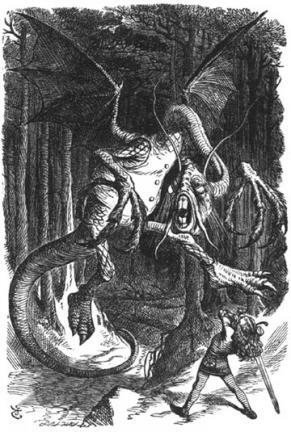 This about-turn, and the restrictive environment it entrenched, became the Jabberwocky monster in the tulgey woods of over-regulation in South Africa. Under the Electronic Communications Act, any VANS could upgrade its VANS licences to ECNS licences, but only if Icasa approved these. And Icasa would only approve a handful, citing various reasons that essentially amounted to protecting vested interests. But before Icasa could announce the winners of what Altech described as a cherry-picking approach to licensing, Altech Autopage took the matter to court. Altech explained its action in a statement: “The court application seeks to clarify the rights of VANS licensees to have their licences converted to I-ECNS, which would allow them to build and own their own networks should they choose to do so, as they will no longer need to rely on the infrastructure of other network operators like Telkom and Neotel. Both the minister and Icasa fought the case, arguing that this had never been the intention of the original determinations issued in 2004, and that the minister’s intentions had been misinterpreted at the time. Judge Davis concurred with Altech, in a case that bears testimony to the independence of judges from Cabinet ministers. The curt action had outraged some of the larger potential licensees, as they were quite happy to become part of an exclusive club of operators. However, their attempts to brand Altech as the villain will prove to have been an extremely poor strategy: the one player with the appropriate combination of cash, conviction and ambition to take on the government is now the hero of the little guy — and, eventually, will have done the big guy a favour as well. If even one-10th of existing VANS — there are about 600 — decide to run with this ball, that could mean as many as 60 new providers of telecommunications services. Obviously not all will survive. Obviously not all can afford their own infrastructure. Obviously not all can start digging up the roads. Obviously many will try to compete in areas in which they have no hope of competing. But it will be their decision to do so, not that of a bureaucracy that has no business making business decisions for other organisations. So let’s say only half manage to make a go of it — bringing the number down to 30. That is 30 new operators who do not have the experience, and not much of the expertise, to roll out a network. While they may be allowed to self-provide their own infrastructure, they may not have the resources to self-provide their own skills. For the bigger operators, that is a massive opportunity. They will be able to roll out entirely new categories of service aimed at supporting the smaller operators. They will be able to outsource niche services that don’t make too much sense in their businesses, but are the raison d’être for small niche players. But most important of all, their larger and often national networks will provide a point of significance (as opposed to a point of presence, as ISPs used to term their access points) to the smaller network operators. In other words, small operators who may only run a local or niched network will be able to piggyback on to a larger network that will give them, along with a scale and reach that would otherwise have been impossible, the far larger bandwidth and network management resources that are available to the large network operators — but without sacrificing their own independence. The biggest beneficiary here is likely to be Neotel — ironic, given the regulatory disaster that delayed its birth by five years. Once the Seacom undersea cable commissioned by Neotel comes on stream in June next year, it may well have a prospect of an entirely new market waiting to be served with low-cost international bandwidth. In some cases, larger operators will realise that the small ones complement their services neatly, and may even find this a rich storehouse of potential acquisitions. The USALs (underserviced area licencees) that were supposed to provide cellphone services in areas where the mobile networks were not very active were a dismal failure precisely because this kind of support environment did not exist. Under the new dispensation, niche players will be able to enter those areas under their own terms and fill the gaps far more effectively than could a select few, often severely hamstrung, beneficiaries of Icasa’s largesse. In short, if allowed to develop on its own terms, the new ECNS dispensation can create a richer environment for all. In truth, there are many obstacles to be overcome before this vision becomes reality. Icasa will place ownership rules and other stumbling blocks in the way. The Department of Communications will come up with new tricks to protect vested interest. Municipalities will clamp down on physical network roll-outs. Larger operators will play their own monopoly games. But the vorpal sword has gone snicker-snack and, with the monster’s head, Altech has gone galumphing back to what must now become a more competitive marketplace. Oh frabjous day! Callooh! Callay! We all chortle in our joy.